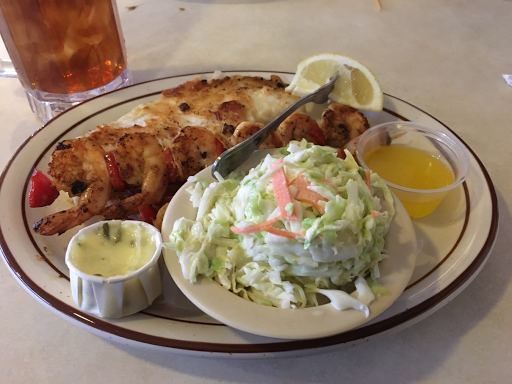 Dinner last night at the Shrimp House, at the corner of Myrtle and Live Oak. Got the seafood sampler with a dinner salad ($16.29) and an iced tea ($2.69). The sampler came with scallops, shrimp and cod. All very good but shrimp were my favorite. Fast and pleasant service, too. I came away happily stuffed.